Reign & Hail was created in 2015 by Graphic designer and animator, James Earnshaw. He creates bold, minimalist prints with an emphasis on typography. James’ background in graphic design leaves him obsessing over the small details, from painstaking font research to recreating old printing techniques. It all serves to give his work a feeling of authenticity. 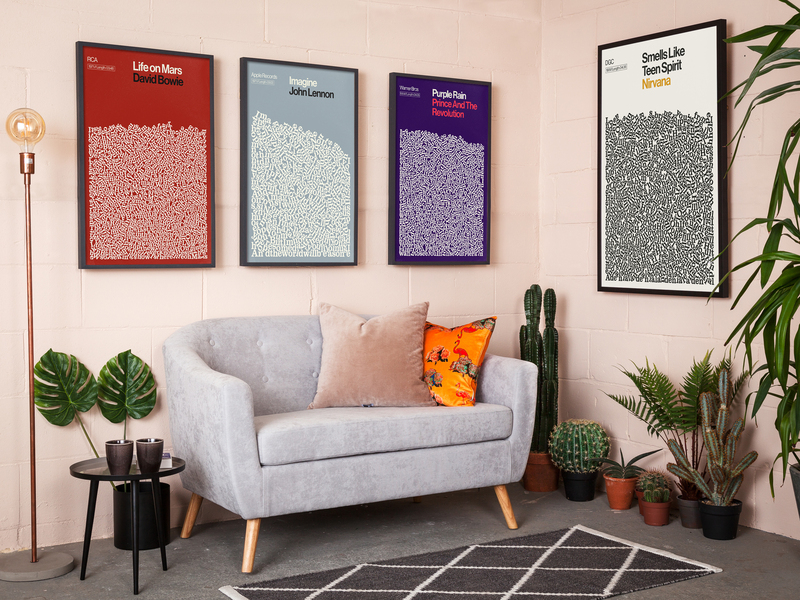 With a second collection of graphic monochrome illustrations recently launched on King & McGaw, we chat to James about his passion for the creative process and his individuality. Where does the name Reign & Hail come from? Reign & Hail was really just me creating myself a brand- plus I liked the ambiguity of it. I was playing around with words, thinking up double entendres. I guess I was drawn to that most British of obsessions, the weather. I don’t really think of myself that way. I just enjoy the creative process in all its guises. Ever since I can remember I’ve always had a creative outlet in one form or another. Who are your favourite artists and creative inspirations? Swiss design masters like Josef Müller-Brockmann and Armin Hofmann. Their influence is omnipresent. The way they put type up front and centre, giving it as much significance as imagery is really the backbone behind everything that I do. I’m also a huge fan of Dieter Rams and his whole design ethos. On a day to day basis I’m more inspired by objects I find. Going to a flea market and finding some obscure vintage beer mats or matchboxes is my version of a day at the Tate! How would describe your artistic style and how did it develop? It developed by emulating. When I first started out designing I’d find some work I liked and try recreating the style. It would never turn out the same as the original, and that’s the whole point, but along the way you’re learning a process- understanding the nuances of composition and mastering your tools. Iteration is key for me, I’ll often sit on a design for months then revisit it with a fresh perspective. On the whole my style is minimalist, graphic and grounded in modernism. I try not to pay attention to the latest design trends, I like the idea that my work could have been made anytime in the last 50 years. If anything, my style has become less complicated. When I look back over my old designs, there’s usually too much clutter. Now it’s about conveying the essence as effectively as possible. Less is more, more or less. 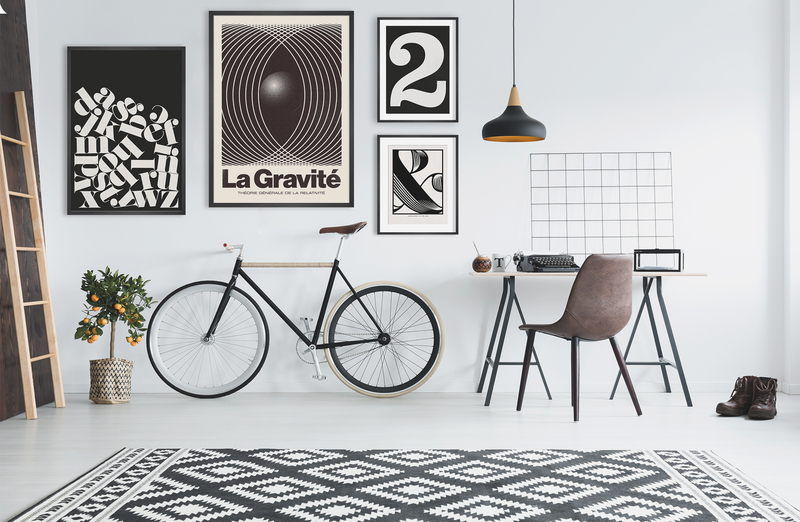 Typography has been a strong trend for interiors for a while, what attracts you to it specifically? It’s the immediacy of it. A sign on a wall, a headline on a page, it forces you to engage. It’s true a picture can paint a thousand words but a single word can paint a perfect picture. Typography sets the tone. The way that different fonts can convey such a variety of emotional responses is something you get obsessed with as a designer. There’s real beauty in letterforms. Balanced, Gravity, Two, Amper-sand from £65 framed. Do you have any favourite pieces in your own collection on kingandmcgaw.com and why? Probably the New York city print. It’s the first poster I made in what would become an ongoing series. The typography is recognisable as the New York city subway signage designed by Massimo Vignelli and the ‘taxi’ yellow block colour background gives contrast to the imposing Empire state building. It’s just perfectly graphic. 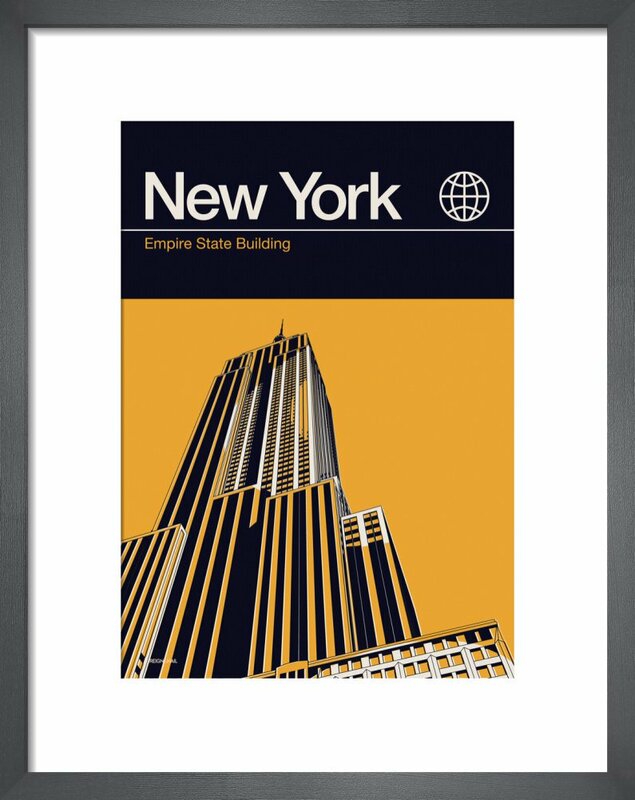 New York, from £65 framed. 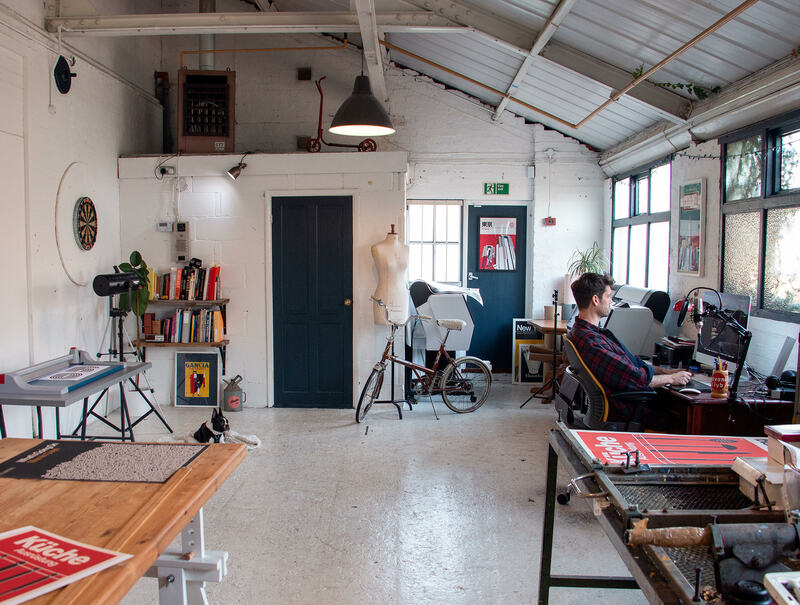 How important is the space in which you work? My studio is literally my second home. It’s just round the corner from my house which is both a blessing and a curse. I used to work from home but I’ve been far more productive since separating the two. For me, having mental space is just as important as a physical one. Working to a schedule is crucial to me being effective with my time and having the freedom to get outside and make space for ideas. If I’m stagnating usually the breakthrough will come to me away from the desk. Minimalist but filled with curiosities that I’ve found over the years at auctions and car boot sales. Filling a living space is an organic process for me. I’m not really into ordering the entire contents of my home from a catalogue. What music inspires you or what do you listen to when creating? Music is an endless source of inspiration to me, Really anything goes but on heavy rotation: Vulfpeck, 4hero, Alice Russell, The Black Keys, St Germain, The Whitest Boy Alive, Zero 7, Beck, The Doors, Bill Withers, Tom Waits, MF DOOM, J Dilla, Madlib, funk, jazz, blues, 80’s, 90’s, pretty much anything but Metal. What are you working on at the moment, any new projects on the horizon? Any major ambitions you'd like to fulfil? It would be cool to design a record cover, but my real ambition is just finding the right balance. If I'm not in my studio… I’m outside, escaping the virtual. Friends and family, walking the dog, biking, cooking, playing, learning, teaching my daughter how to grow whilst she’s teaching me how to be a child again.